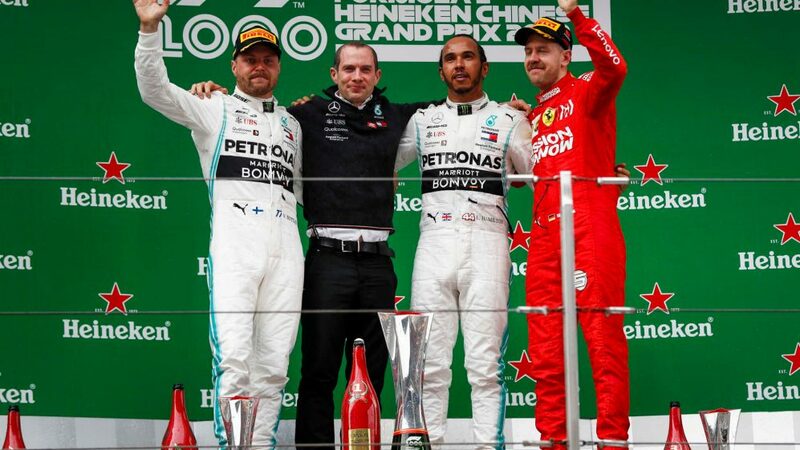 As Formula 1 celebrated the 1000th World Championship race, Lewis Hamilton led home team mate Valtteri Bottas as Mercedes secured their third one-two in as many races to start the 2019 season. On a day when Ferrari had no answer for the Silver Arrows, Sebastian Vettel completed the podium in third. Sixth was Pierre Gasly, who strapped a new set of soft tyres onto his Red Bull two laps from the end to help him take the extra point for fastest lap. With Bottas and Vettel having outpaced their team mates in qualifying, both lost out at the start as Hamilton swept into the lead, while Vettel made a good getaway but had to get out of the throttle as he closed on Bottas, allowing Leclerc to slip into third. Behind, Racing Point’s Sergio Perez made a great start to jump from P12 on the grid to P8, sailing around the outside of the two Haas cars before splitting the Renault drivers as he fell in behind Daniel Ricciardo. The drivers made it cleanly through the first turn, but it was when they got to Turn 6 that things started kicking off. 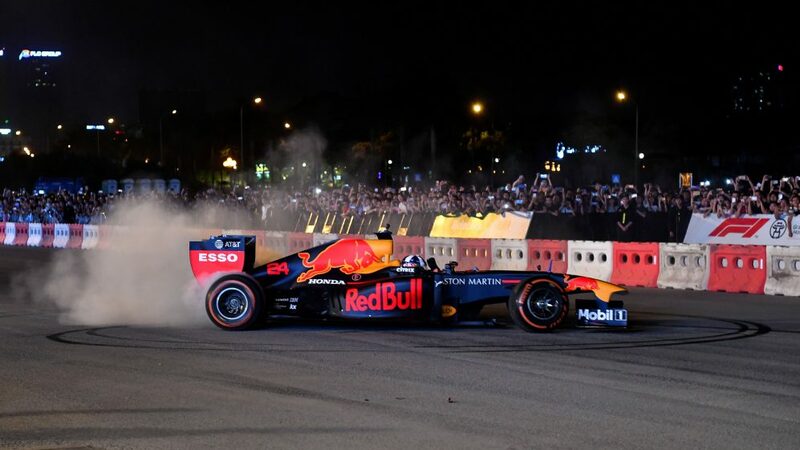 As Daniil Kvyat and Carlos Sainz tried to get through side by side, Kvyat had a wobble on his Toro Rosso that saw him wash into the path of the Spaniard. The pair collided, with Kvyat’s car then bashing into the sister McLaren of Lando Norris, who was launched dramatically into the air. 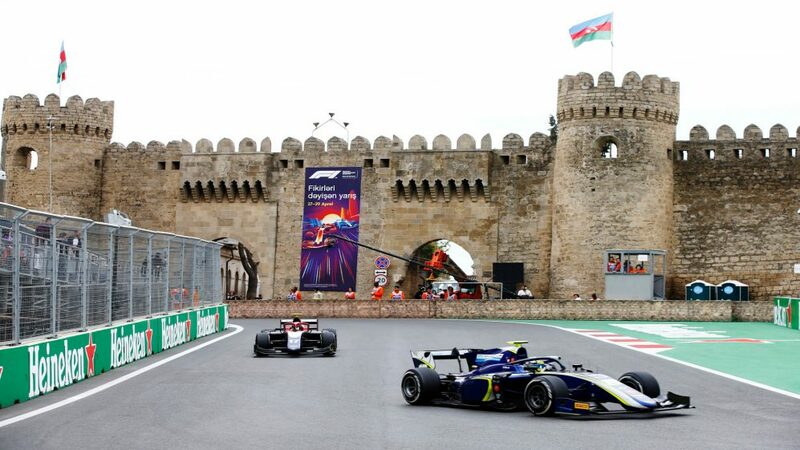 All three were able to continue – although Sainz was without a front wing – but the stewards judged Kvyat to have been at fault, and the Russian earned himself a drive-through penalty at the track where his ‘Torpedo’ moniker was coined three years ago. After a brief Virtual Safety Car period, racing got back underway, with the Mercedes drivers quickly putting clean air between themselves and the leading Ferrari of Leclerc, who had Vettel tucked in behind him. Vettel was the first Ferrari driver brought into the pits on lap 19. A lap before, Max Verstappen had made his own first stop for Red Bull, and the hard tyre-shod pair found themselves together on track with Verstappen keen to get past. 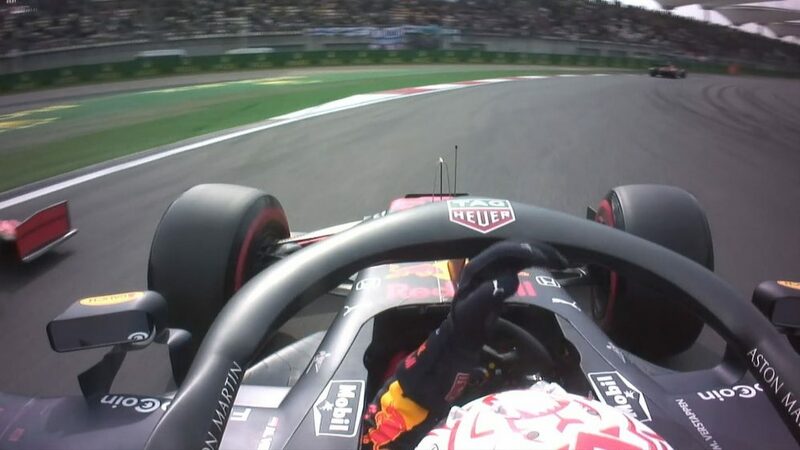 There were shades of 2018 as Verstappen launched a move down the inside of Vettel down into the Turn 14 hairpin. But the Dutch driver overshot, with Vettel jinking back onto the racing line to hold onto the net P3 position. By the time Leclerc was pitted on lap 23, he found that he was now 11 seconds behind the Vettel/Verstappen fight – and out of contention for a strong result, those two drivers having used their fresh rubber to full effect. Behind, Ricciardo was doing fantastic work to maintain the seventh place he’d qualified in on Saturday, with Sergio Perez keeping a race-long watching brief on the Australian as Kimi Raikkonen worked his way up into ninth with some typically well-judged passing moves in the Alfa Romeo. On lap 36, Mercedes, still looking tranquil at the head of the field, daringly pitted both Hamilton and Bottas on the same lap, their advantage comfortable enough to allow them to protect against the threat of a Safety Car. They emerged P1 and P3 respectively, Bottas on his new mediums quickly pushing past second-placed Leclerc to galvanise Mercedes’ third one-two of the season. Vettel also pitted on lap 36 for fresh mediums, using them to breeze past Leclerc himself on lap 42, with Ferrari then deciding to roll the dice and give Leclerc some fresh mediums too, to see if he could go after the fourth place that he looked in danger of losing to Verstappen. He couldn’t, however, and that was how they finished, Hamilton taking the 1000th race win (he took the 900th, and the 999th, too!) ahead of Bottas, who blamed wheelspin going over the start-finish line for having handed the advantage to his team mate on lap one. 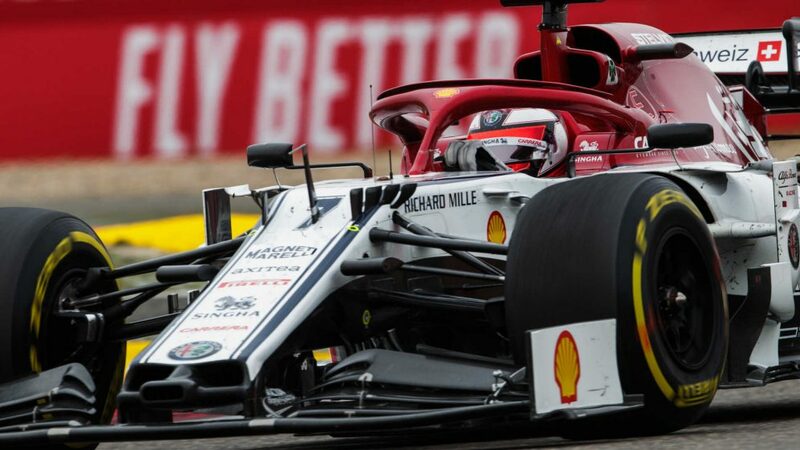 Vettel, having been the beneficiary of the Ferrari team orders, called them “fair” but admitted the result – with Ferrari outgunned by Mercedes for the third race of the year, despite their much-mooted power advantage – “a good result for us, but not a great result”. With Leclerc finishing fifth behind Verstappen, Red Bull became the first team of the season to actively gun for the fastest lap bonus point, pitting Pierre Gasly from his no-man’s-land P6 for soft tyres two laps from the end, the Frenchman duly delivering a 1m 34.742s to secure the extra point. Ricciardo will have been relieved to score his first points of the campaign, the Australian appearing the most comfortable he’s been all year in the Renault R.S.19 to take a strong seventh place ahead of Perez. 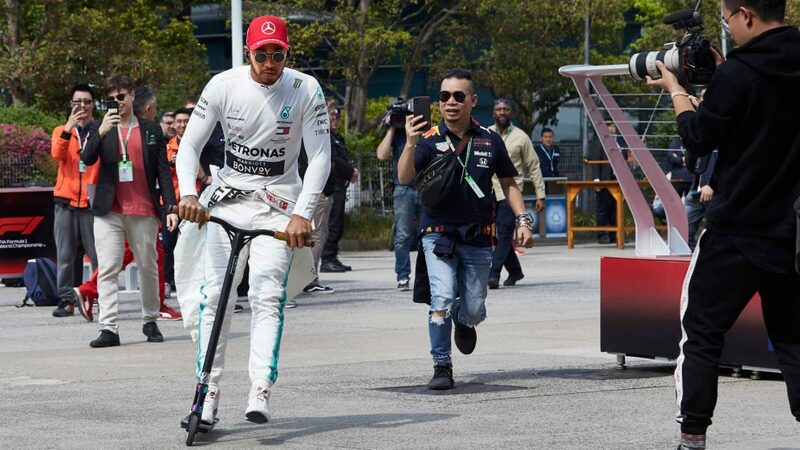 Alexander Albon rounded out the final points-paying position ahead of Raikkonen, with everyone from Ricciardo back to the Thai driver making a one-stop strategy work. But it was Hamilton’s day, the driver many talk of as being in contention for F1’s G.O.A.T. status – the Greatest of All Time – fittingly winning the 1000th World Championship event. 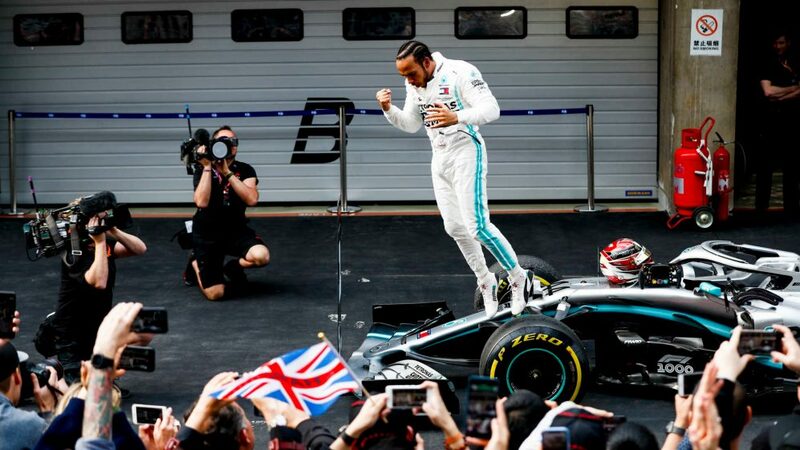 And despite everyone still talking in awed tones of the might of Ferrari’s SF90, it’s the Mercedes W10 that has brought the Silver Arrows the first three wins of 2019.